Jean Renoir's classic prison escape movie, often seen as a humane and pacifist indictment of war, and as a commentary on class politics. 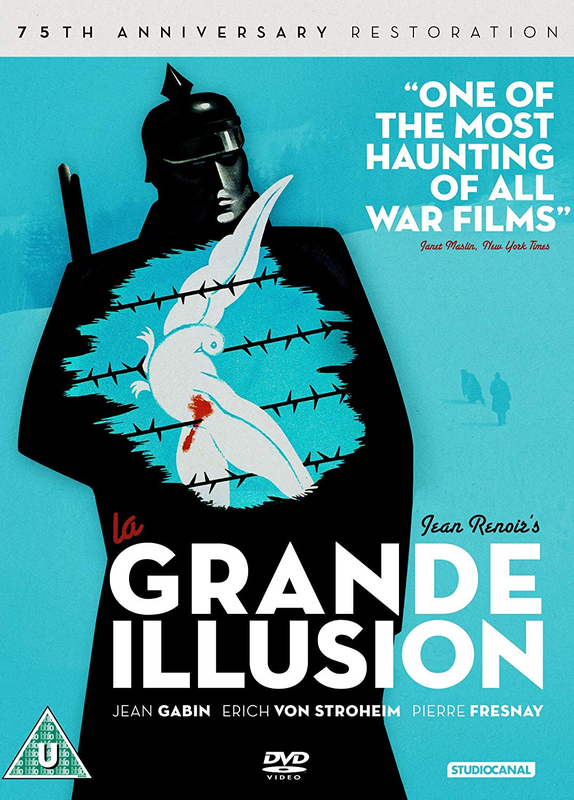 In a WWI German prisoner-of-war camp, three French soldiers, working-class Lieutenant Marechal (Jean Gabin), middle-class Jew Rosenthal (Marcel Dalio) and aristocratic senior officer Captain de Boieldieu (Pierre Fresnay), are held prisoner by Commandant Von Rauffenstein (Erich von Stroheim). The film shows how a bond of sympathy exists more between the German Commandant and the senior French officer than between the three Frenchman from different social backgrounds.. Even though de Boieldieu sacrifices himself for the two others to escape, the film makes no attempt to conceal what they are returning to once their role as war heroes is over.